Employers from all around the world know what it means when they have to draft out an official termination letter. In the event that they have to make these, then the reason would be that there are employees who have been performing poorly or it could amount to any other reason. 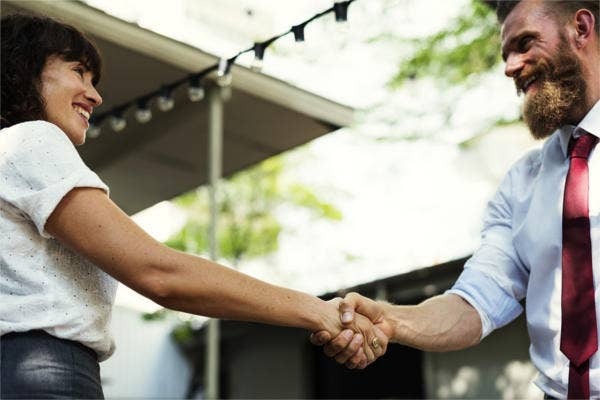 A termination letter is not only used for firing those unwanted or unneeded employees, it can also be used by those who wish to cancel certain services. Considering that there are lots of reasons as to why one must terminate an employee or a particular service, it’s important to learn how to make a proper termination letter as well as know what the letter should contain. 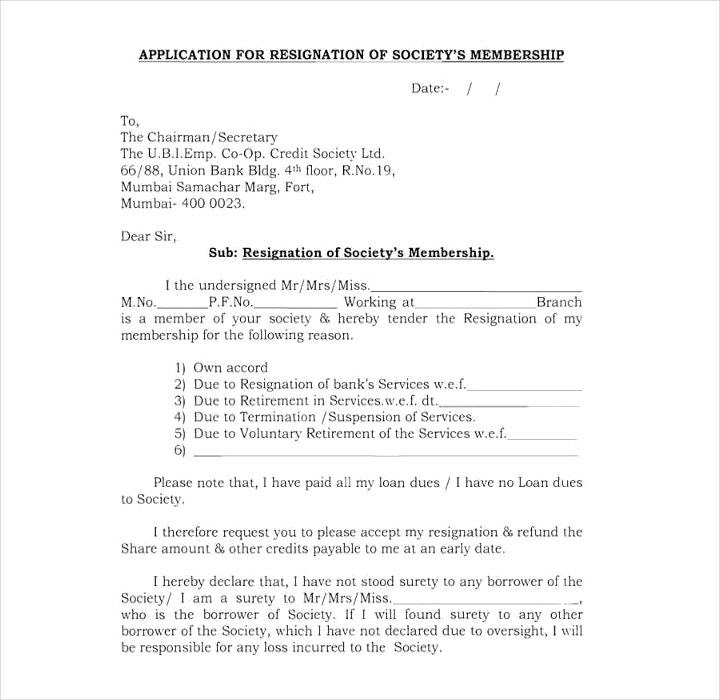 What Is a Membership Termination Letter Letter? 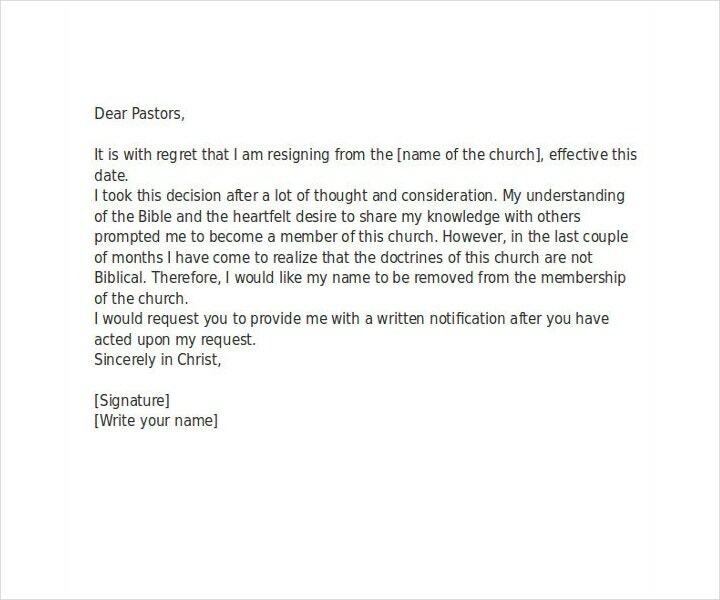 A membership termination letter, also known as a membership resignation letter, is what one uses in the event that he or she wishes to stop his or her membership to a certain club or service. 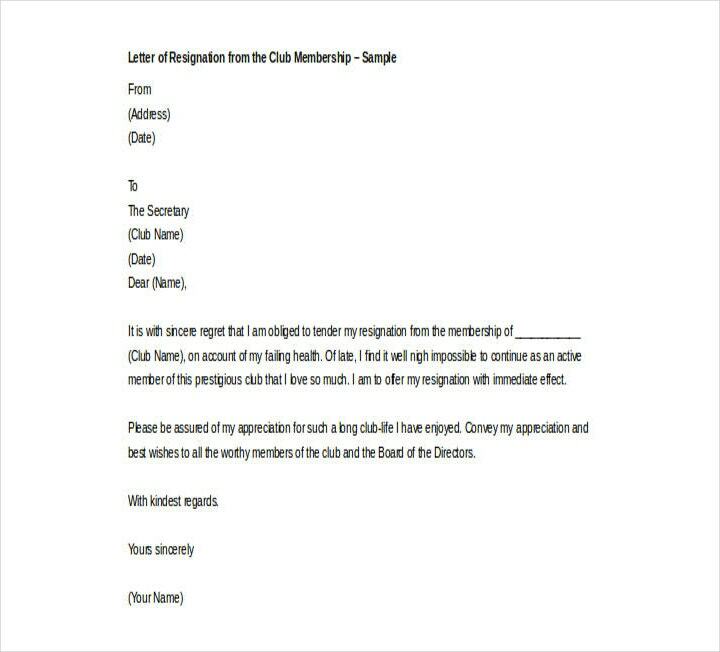 With the help of this type of document, one is able to point out the reasons as to why he or she would like to stop, as well as clearing out any misunderstanding before the membership cancellation is finalized. This can also be sent by management in the event that a member has violated too many policies or has shown unruly behavior. 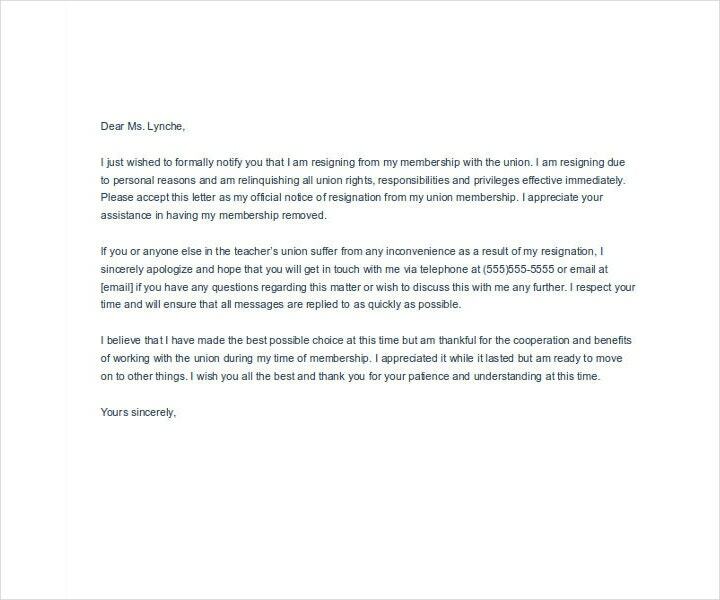 The consequence is that the person will be stripped of his or her membership, as well as getting a proper explanation within the letter as to why his or her membership has been revoked. This is to prevent lawsuits where the person claims that the establishment has unfairly stripped his or her membership. You’ll want to start out by writing in a formal business format. This means that you’ll want to write it in a style of a formal business letter. The reason for this is because you want to give out an air of professionalism to the recipient. The best way to do this is to create the letter on a computer via a word processing program and make use of an easy to read font in 12 pt type. There’s a specific heading for this kind of format at the top of the letter. In the first paragraph, you’ll need to provide your name, membership or subscription number if you were given one, your address, and the date of when the letter was made. In the second paragraph, you’ll need to place in the name of the subscription company or the establishment of where your membership belongs to and the company’s full address. The next step would be to specify the membership or the subscription that you wish to cancel. One of the best ways to start off the letter is by saying “Dear [Name of company establishment or subscription company].” Then you should state the type of membership that you wish to have canceled. Provide all of the important information such as your account number and the reason for your cancellation in the letter so that the recipient can easily understand the purpose of your letter. State in the letter that you would like to gain confirmation of your cancellation. You can request that the company sends you a letter of confirmation to help you ensure that membership or subscription cancellation has pushed through. It’s also best that you also ask for a printed receipt as a backup to ensure that it has been canceled. If there’s a cancellation fee, then what you’re going to have to do is to include the money in the letter. If there is any kind of money that’s owed to you, such as a membership that you have canceled before your membership has even begun or has yet to finish, then you’ll want to request for the money to be refunded by check. Once you’re finished, you may then proceed to sign and send the termination letter. It’s always a good idea that you end it with “Sincerely” or “Best” and then you can print the letter. 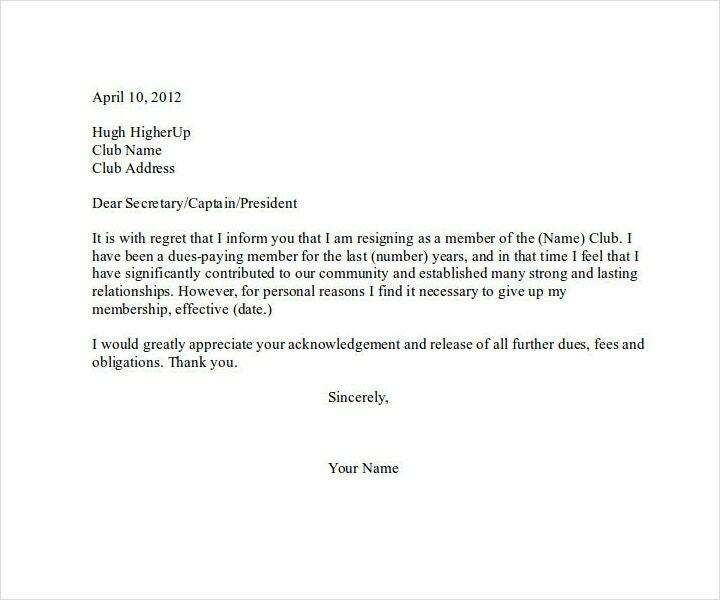 Sign the letter by hand and send it via e-mail address of the membership or subscription company. If you have no idea as to what their e-mail is, then you can visit their Web page where you should be able to go through their contact list and find their e-mail address. Be sure that you’re sending it as certified mail as this will make sure that the letter has a stamped proof date and time of when it was initially sent. 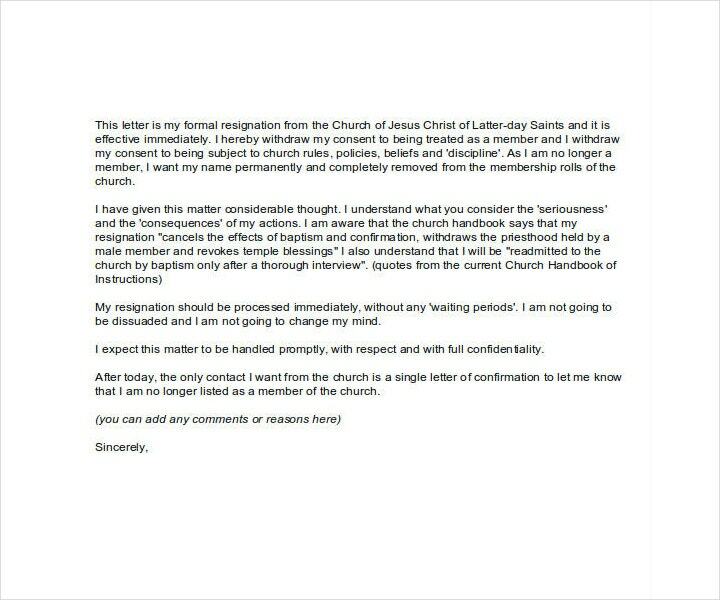 Lastly, you are going to want to have a copy of the letter for yourself. What you should do is scan the letter and/or save it on your computer to ensure that you have a copy to keep for your records. If you have any receipts or any other documents that you’ll have to send, then be sure to make a copy of those before you send them. Do not send the original receipts or documents as they may just prove useful for future situations. Send out the copies and keep the original documents for yourself so that you can put them on record. Remember that it is always best to type the letter out rather than doing it handwritten. By making your letter through the use of your computer, you can help ensure that there are no spelling or grammatical errors that are usually caused by bad or ineligible handwriting. Making the letter on the computer also makes it much easier for you to correct any errors that you have made with the click of a button, rather than having to erase and risk ruining the letter if you were doing it handwritten. Before you start even making it, you’ll need to make sure that your decision is final. If you’ve thought about everything and have considered your current situation and you still feel as if you need to cancel your membership, then you may proceed to write up and send your letter. You should date the letter in advance and send it so that the company you are sending it to will be given notice to your cancellation. As mentioned before, you’re going to have to provide all of the necessary details regarding why you are canceling and properly explain the reason for your cancellation. Usually, it would come in the form of a customer complaint stating that you’ve found that there are certain services that have not met to your expectations, or it could be other reasons such as no longer being able to keep up with the monthly payments due to financial issues. Make sure that there are no errors when it comes to providing information. Go through everything in the letter to make sure that everything is correct and authentic. It’ll become much more of a hassle if you found out you have your cancellation rejected simply because there was one thing missing or one little error. It’s also very important that you do not lie or provide any kind of misleading information as that could end up with certain consequences such as being charged for falsifying information. 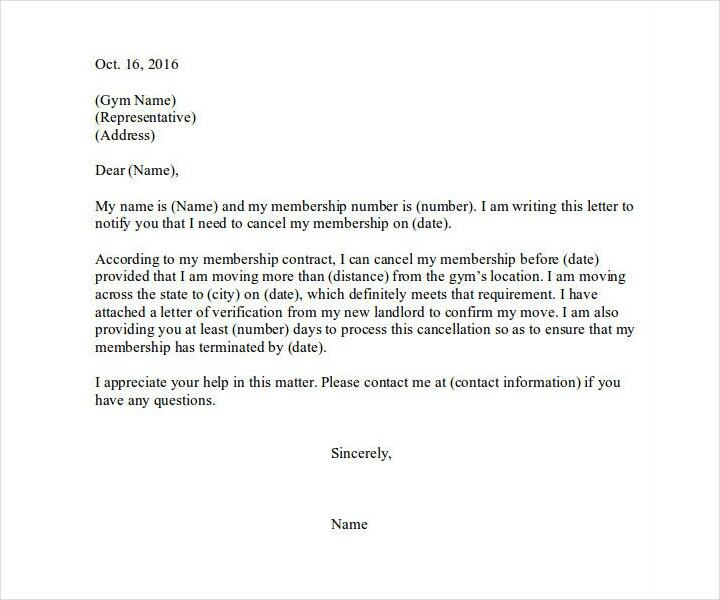 Depending on how you would like to cancel your membership, you can decide to write the letter in either a formal or informal manner. Knowing that this is a very important document, you’re going to have to make sure that this is sent to the recipient with care. What you’ll want to do is make a backup of the letter before you send it. This way, if you come across any issues that could prevent your letter from being sent or, even worse, having your entire letter end up being deleted, then at least you can feel safe knowing that you already have a backup at hand. In the event that you would like to learn how to write other types of termination letters or if you would like to learn more about them, then you may go through any of our available termination letter templates to help you get what you need.